Pic2Go, the global Sponsored Race Photography technology provider has partnered with JKP Sports, a leading US full-service sports photography company to become a Pic2Go Preferred sales and operation partner in the U.S..
Pic2Go’s innovative platform automates race photo-tagging using Pic2Go’s patented 2D barcodes technology, letting participants instantly share their (branded) race photos to Facebook while driving sponsorship and social engagement. ​“I am thrilled about Pic2Go’s dedication to keeping up with the technological advancements in the industry. We’ve been watching them for several years now and think this is a perfect fit for the direction we are headed!” says JKP Sports President, Jason K. Powers. Established in 2010, Pic2Go is a worldwide solution provider for Sponsored Race Photography, providing endurance event participants with free branded photos and videos to share on social media, while boosting race sponsorship. Pic2Go’s race photography technology is used by major events and sponsors in 40 countries. Recent events using Pic2Go in the U.S. include – Baltimore Running Festival, The Miami Marathon, Milwaukee Marathon, Phoenix Marathon, Sioux Falls Marathon and others. Pic2Go is also the developer of the emerging Finishers Experience Platform – RunPage. Established in 2001, JKP Sports has become a leading full-service sports photography company in the U.S. with a growing portfolio of services that includes high quality action photography for sporting events and races, team picture days, on-site printing and live social media coverage. JKP Sports combines the tools, the expertise and the team to offer a highly competitive service known for premium quality and a customer-centric approach. JKP Sports has also recently expanded its services to become a one-stop shop for events, providing professional photography services, souvenirs and custom apparel. 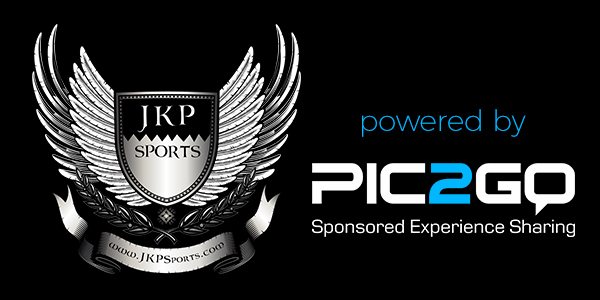 Created to become the go-to sports photography company, JKP Sports’ philosophy goes beyond photography. They celebrate sports, athletes, competition, teamwork and peak performance. From races to gymnastics to football, they have covered large and small events alike, as well as District, State, Regional & National championships to capture the best moments and emotions so that they can be celebrated, shared and remembered by their clients for years to come.